Tibby Singh Chodha checks out the latest workwear trends from Snickers. 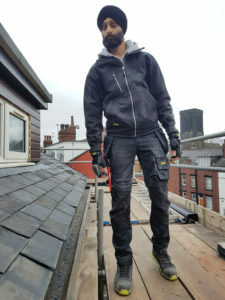 I believe having a comfortable pair of trousers is just as important as having quality tools. 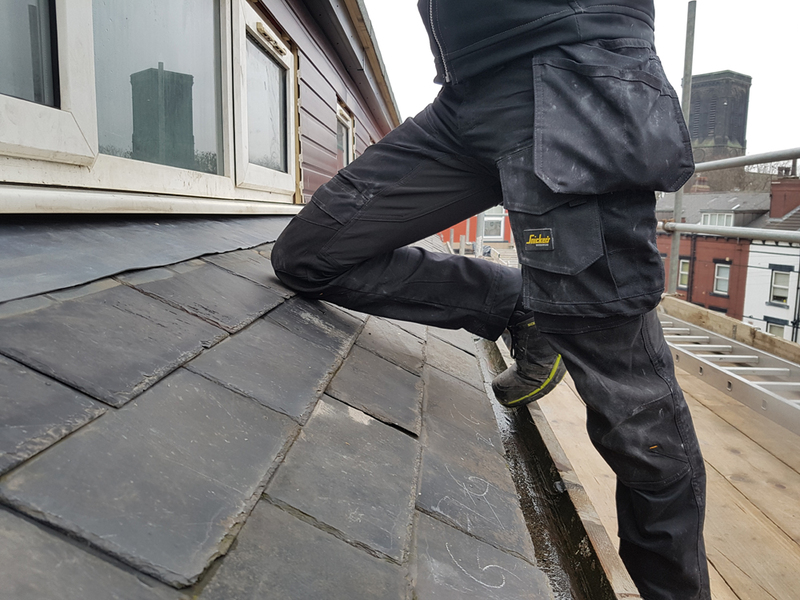 In this review I slipped my legs into the new AllroundWork stretch trousers with holster pockets to stretch them to their limit. I was actually sent a prototype of these trousers to test before the manufacturer launched them onto the market, so I was excited to see how they hold up after a pocketful of feedback. The first thing you notice is the slim fit, which feels like its tailored to fit you. Regardless of the slim fit, there’s still space to insert your knee pads into the trousers. This is courtesy of the expansion pleats, which keep the kneepads in their optimum position for protection and permanence. I guess an advantage of slimmer clothing is that they’re less likely to get caught on anything whilst walking around on site. I’ve experienced this when wearing baggy trousers and getting caught on a screw that was sticking out. The 4-way stretch Cordura materials mean that the trousers adapt to whichever position you take. So, when you’re working on all fours, you don’t have to worry about any embarrassing wardrobe malfunctions as they’re surprisingly stretchy and provide ample flexibility. These trousers still have Snickers’ classic holster pockets, ruler pocket and knife fastener, along with a variety of other pockets, so you don’t need to worry about storage. Sometimes too many pockets can be frustrating. However, these trousers come with a key holder that will eliminate the time wasted looking for them. These Snickers AllroundWork trousers are without a doubt one of the best workwear trousers I’ve ever had. It was the first time my mum also commented: “Wow…those trousers look really smart!” They don’t just give you the feel good factor, but provide the look good factor too! How important is workwear to the trades?